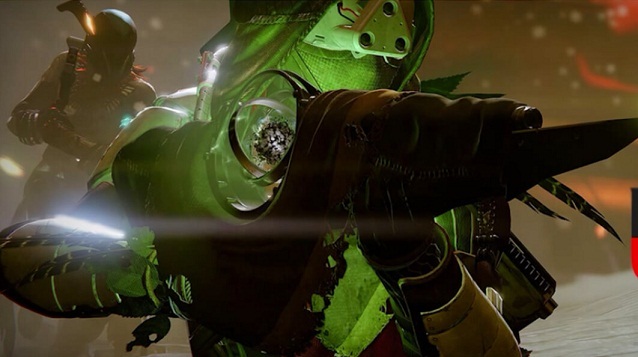 The Touch of Malice is probably the most difficult weapon to be obtained in Destiny: The Taken King. It is a well-deserved reward after a long quest series you completed for Eris Morn in the tower. If you want to get this exotic Scout Rifle, you must complete a lengthy quest series and also complete the new "King’s Fall” raid. We show you all the necessary steps to obtain the new weapon. First you must the complete the Shattered Past quest that brings 5 calcified fragments to Eris Morn in the tower. Just go on patrol mission on the Dreadnaught to start the search. Where you can find the fragments. After this quest you have to collect another 15 calcified fragments for Eris Morn before you get the “Hunger Pangs” Quest. - Then you have to accept the quest The Old Hunger. This you will unlock once you enter the King's fall raid for the first time. - Now it is difficult: You must kill three bosses of the raid to get them special items. 3. The Ravenous Heart of Oryx. - After delivery of such items you need a collective task to complete for Eris again. You need 25x worm spores, 50x Hadium flakes and 50x weapon parts. - At delivery you will receive the Antiquated Rune from Eris. - You should still have to collect 30 more calcified fragments. end of The Undying Mind Strikes. - The go back to Eris receive the Stolen Rune. - Now you must go back to the base on Phobos and kill the Wizard to get the Essence of the Feast. - Now to the Fear’s Embrace Mission on Phobos and defeat Mar-Zik, The Blightcaller. It appears after you have shot the echo of Oryx and up to 25% of his health down. - Then return one last time to Eris Morn and collect your well-deserved Touch of Malice. - The last shot of each tray regenerates and shares bonus damage at the expense of the health of the wearer. - Three quick kills in a row give the wearer health. Especially the first perk is very interesting, because you can shoot endlessly basically without reloading. Though you lose health with every shot, but divide the double damage. In combination with the second perk you can loss the health counteracts, if you're fast enough. The Touch of Malice is ideal for a risky play.